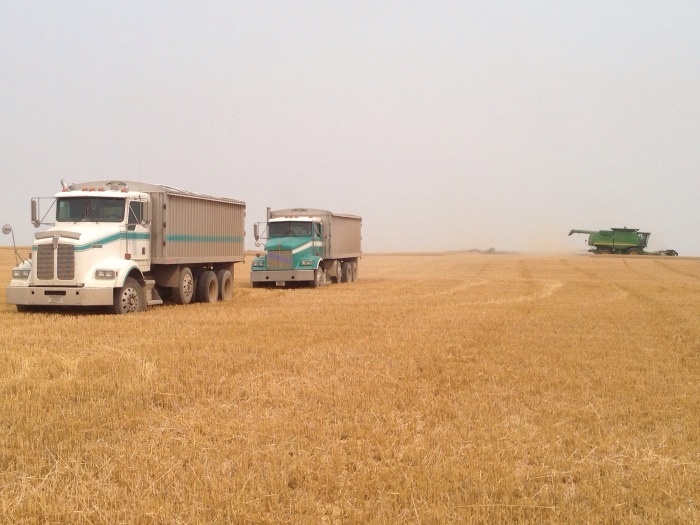 A few years back my brother followed the wheat harvest from Oklahoma up into Canada. He still tells some of the best stories as a result of that summer. It must have been a tough summer. He said he'd love to do it again but wouldn't work for the same son of a gun he did that summer. In some strange way knowing my brother had a bit of a rough time does my heart good. And if any of you repeat what I just said I'll vehemently deny it. 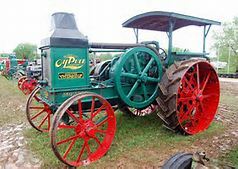 Lot of difference between the Oil Pull tractor and the modern combined. I think the model T truck would haul 20 to 25 bushels of grain. 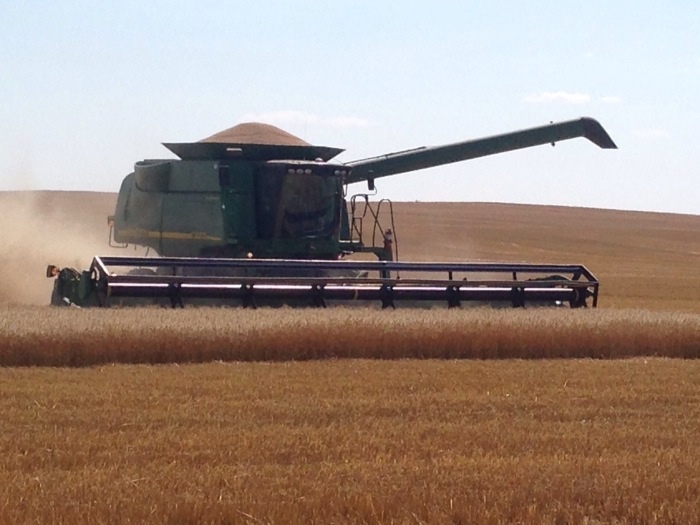 Our combine holds 325 and the trucks 650 . Just a little bigger than the good old days. 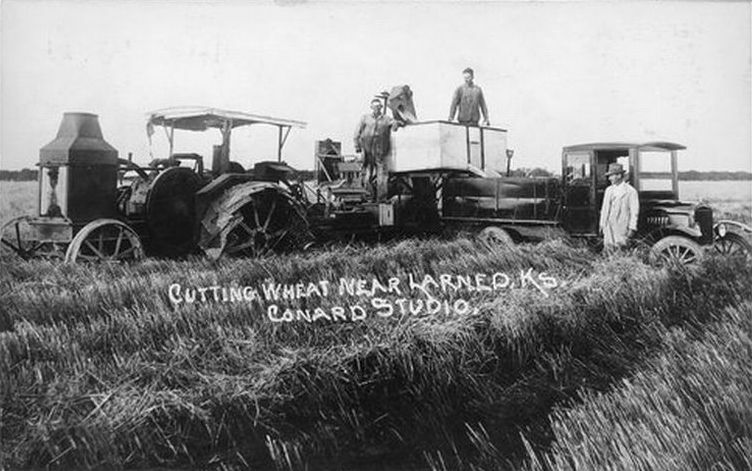 The combine is taking a 36 foot cut and is driven by gps, we just turn it around at the end of the field and start it on a new line. I think that is a Rumley Oil Pull Tractor.